Think beyond the four walls of a conference room and try these team-building experiences to reward and reconnect your corporate groups. Team-building experiences are a great way to boost morale among corporate groups and increase motivation and creativity. We’ve scoped out some of the best team-building experiences across the country that will lure your delegates out of the office. Axe throwing is the latest craze in Australia and it’s no surprise corporate groups are loving this stress-relieving activity. 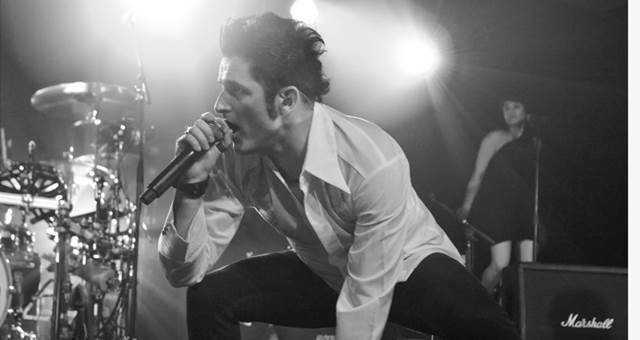 With locations in Sydney, Melbourne, Brisbane and soon Adelaide, Maniax has spent four years perfecting the experience. 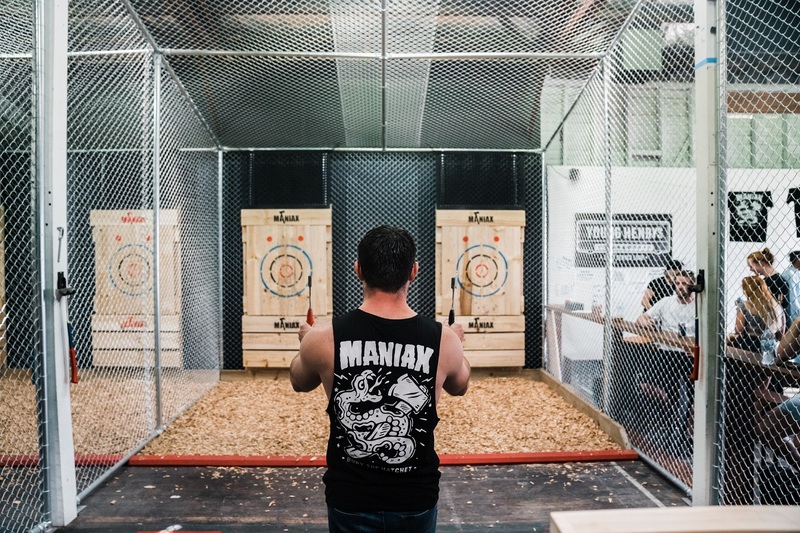 Dee Cotter, operations manager at Maniax, says axe throwing is a very different experience than most people have had before. For those who might have reservations about throwing an axe for the first time, Cotter says it is a very safe sport. “We’ve had over 60,000 people in for throwing with no accidents or incidents,” she says. 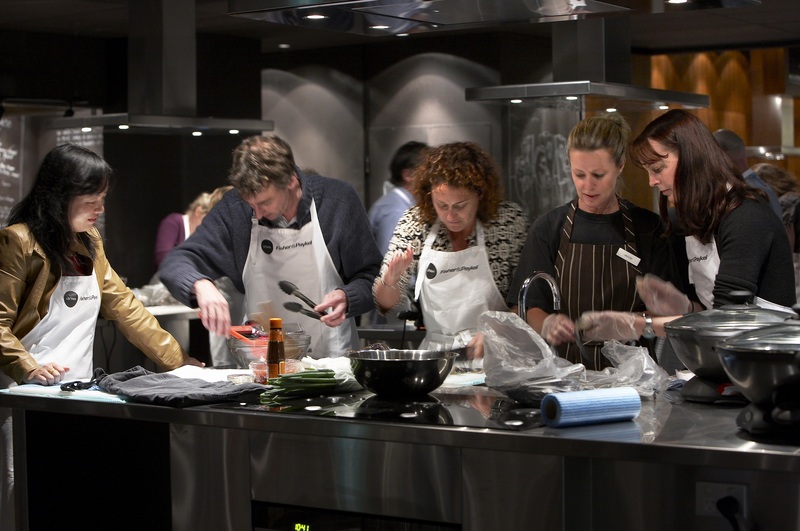 Sydney Seafood School’s cooking classes tick all the boxes for corporate groups: they’re fun, laidback and a great opportunity for teams to get to know each other while learning new skills. Sydney Seafood School manager Roberta Muir says the classes provide a collaborative, hands-on activity for clients or colleagues. “Of course sitting down and enjoying the end results with a glass of wine is everyone’s favourite part, but I’ve also had guests say they’ve closed deals around the cooking bench that they’ve been working on through weeks of formal meetings,” she says. Each class starts with a chef demonstration before participants get to work in groups of up to six to recreate the dishes. Sydney Seafood School can cater to a range of dietary requirements, including non-seafood eaters, and have classes that focus on red meat and poultry as well. Canapés and beverages can also be organised on arrival for private groups. The Spice team recently attended a cooking class at Sydney Seafood School, where Jesse McTavish, head chef at North Bondi Fish, led the menu of prawn sandwiches and baby snapper with papaya salad. The class was a fantastic opportunity to learn new skills in the kitchen while having relaxed, bonding time with each other. 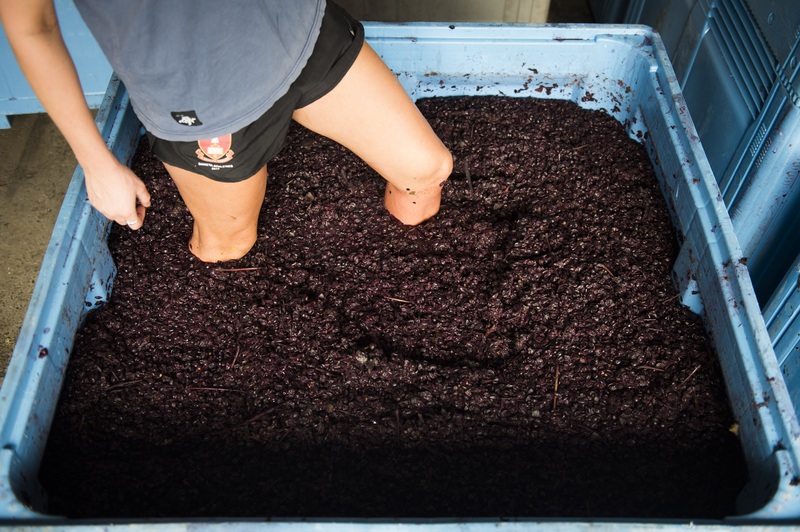 Grape stomping is an age-old tradition which sees participants jump barefoot into a wine barrel or tub and squish grapes between their toes as part of the wine-making process. While the activity is offered around the country in different wine regions, you don’t have to leave the city to do it. The experience is available to groups at Urban Winery Sydney, a fully functioning winery, event space and cellar door located just outside the CBD. So what can groups expect from the experience? Aside from purple feet (don’t fear – water and towels are supplied post stomping), Hammond says guests can expect a fun, relaxed way to connect with colleagues. 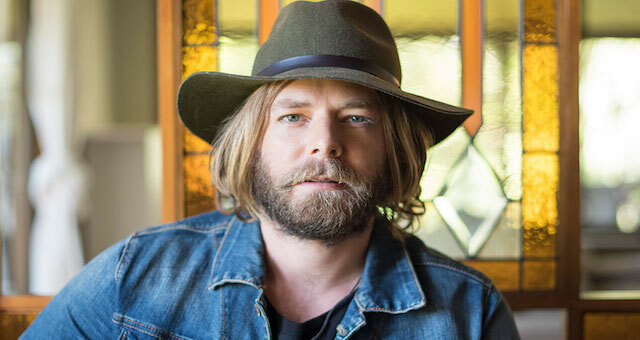 “Groups can expect to take away some fun, unique memories and knowing they have actually taken part in helping to make the next vintage of A.Retief wine,” she says. To complete the experience, groups can sample wines straight from the tanks and barrels, enjoy cheese and charcuterie boards featuring local New South Wales produce and take home a souvenir bottle of wine. Inspire creativity among your corporate team with a painting session, where they can try something new and discover hidden talents – all with a glass of wine in hand. Perth business Cabernet & Canvas is one of a growing number of companies around Australia that offer painting workshops for corporate groups. 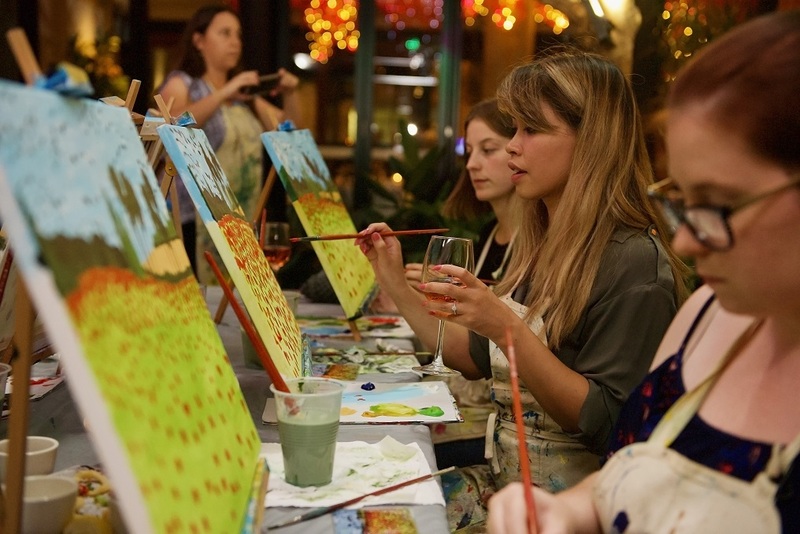 At Cabernet & Canvas, participants spend two to three hours painting, following step-by-step instructions from a trained artist, while enjoying a few drinks with colleagues. Co-owner Ella Dent says the experience can be tailored to suit each group. Groups can choose from a gallery of almost 100 paintings or work with the Cabernet & Canvas team to design a custom painting for their event. The painting workshops can be hosted at a variety of licensed venues around Perth or the team can come to you. “Being fully mobile, we can also set up our workshops within the client’s workplace, or work with any other venue that is able to accommodate our set up,” says Dent. in the stunning Blue Mountains region of New South Wales. The adventures are led by My Adventure Group founder James Castrission, an Australian explorer, keynote speaker and leadership consultant. Castrission and his friend Justin Jones hold two Guinness World Records for their accomplishments: completing the longest unsupported polar expedition of all time from the coast of Antarctica to the South Pole and back, and becoming the first kayakers to cross the Tasman Sea. With these extraordinary world records under his belt, Castrission now leads adventure-based development and team-building programs for corporate groups. Castrission says adventure is a brilliant tool to push teams out of their comfort zones and create lasting memories. 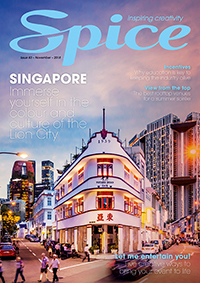 Spice Magazine was recently invited to experience one of My Adventure Group’s programs in the Blue Mountains, which was designed to give event organisers a taste of what the group can provide for corporate teams. The program kicked off with a keynote speech from Castrission, who shared his experiences with delegates and discussed how a growth mindset is critical to success. The group enjoyed dinner under a magnificent tepee with catering by local supplier Redpepper Catering, before retiring to their glamping accommodation (complete with luxury bathrooms!). The next morning, delegates started the day with warm Chai served at their tent, before departing for a day of adventure. Castrission and his team of guides led the group through abseiling and canyoning activities that pushed the group out of their comfort zones and off cliffs – literally! celebratory lunch and drinks at the Fairmont Resort, for a luxury touch to complete the experience. My Adventure Group tailor makes every program to suit each group and their needs. Previous experiences have included wine tasting, celebrity chef appearances and morning yoga. 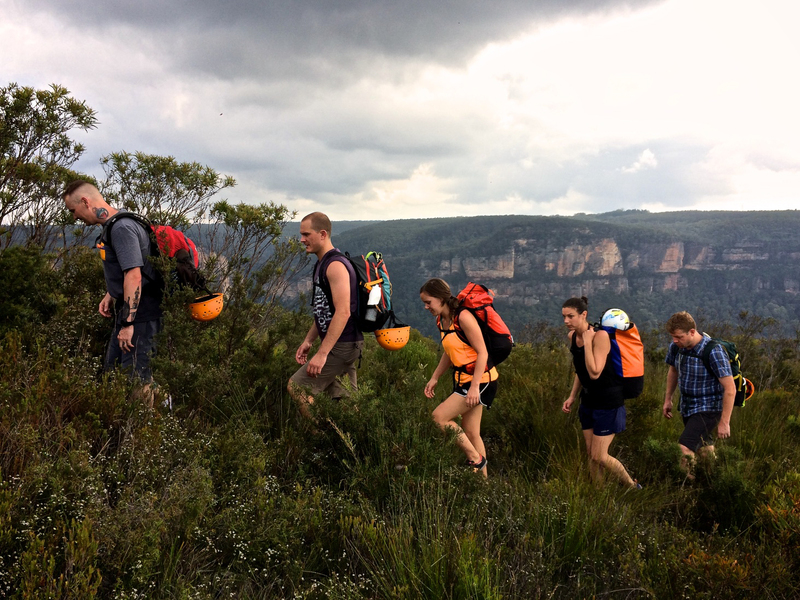 My Adventure Group’s programs offer corporate groups the perfect blend of challenge and reward, bringing teams together in an unforgettable setting. The programs are predominantly run in the Blue Mountains, but can also be organised in New Zealand.